The pit lane had their collective fingers crossed for no rain in Malaysia, but the God’s had their say at the end of Q2. The first session remained untouched with Vettel just squeezing in an average time to put him into the second session. 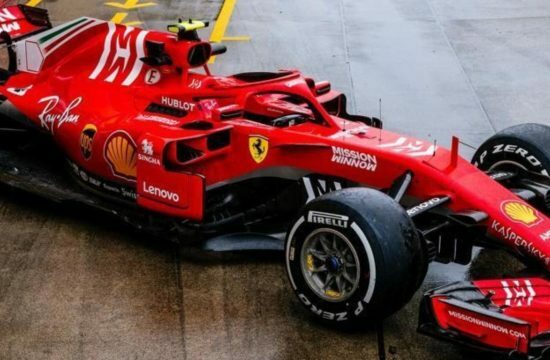 Rain came late in the second session, and just as the Ferraris managed to make it to Q3, the shower caught out Force India’s Adrian Sutil and he missed out. In the end Vettel claimed pole and the Ferraris manage a 2-3. 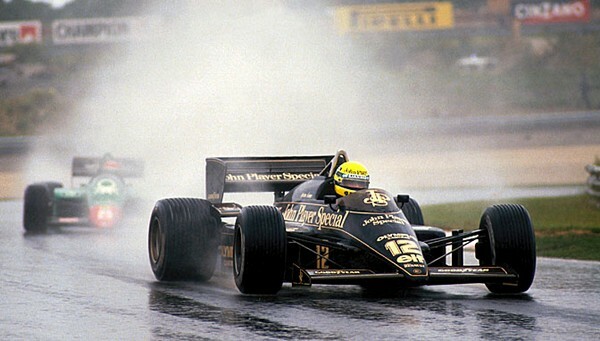 Come race day and the conditions had improved, although one half of the track remained wet whilst the other was bone dry – this left the teams all guessing as to when the switch from intermediates to slicks should take place. Off the line Vettel maintained his pole and led into the first corner, with Alonso taking second. Webber tried to pass and Alonso tapped Vettel, breaking his Ferrari’s front wing. 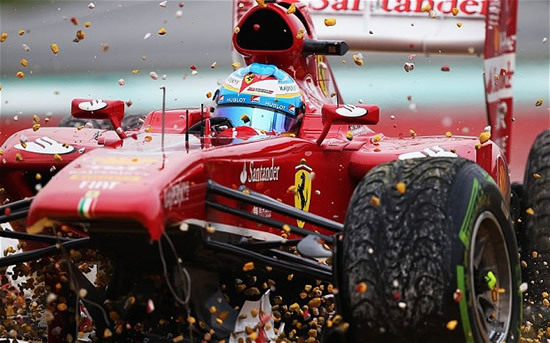 Massa jumped on the mistake and stole third place whilst Alonso had to retire on lap 2 when he decided not to pit – the front wing finally found itself under the Ferrari’s front wheels. 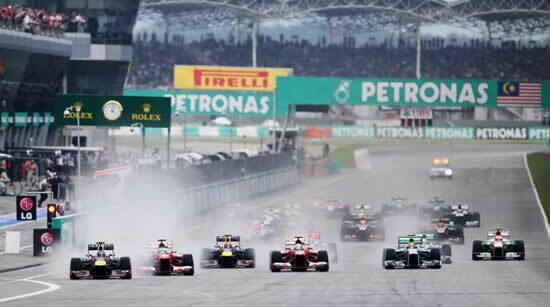 As the track started to dry out, Vettel made an early pit on lap 6, gambling on the medium compound tyres. 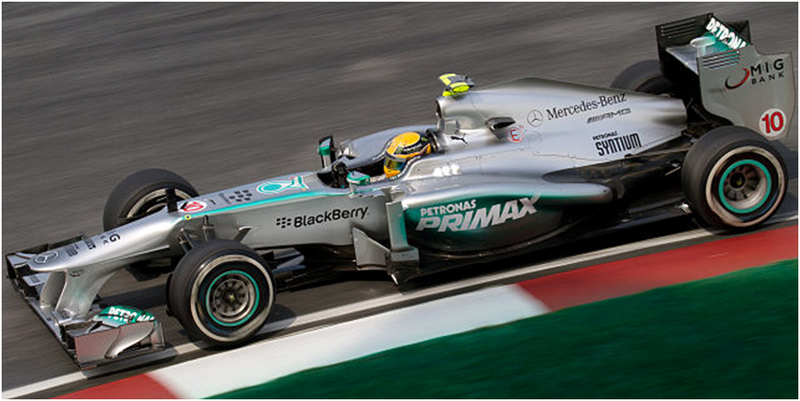 On lap 7 Hamilton drove into his old McLaren garage – old habits die hard! Following team orders, Webber stayed out and put in a fantastic time on lap 9. A Toro Rosso collided with a Caterham in the pit lane after the Italian team released their car too early. 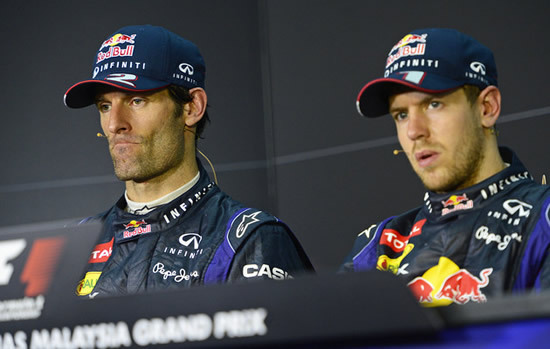 At this point, Mark Webber is first, with teammate Vettel second and Hamilton third. 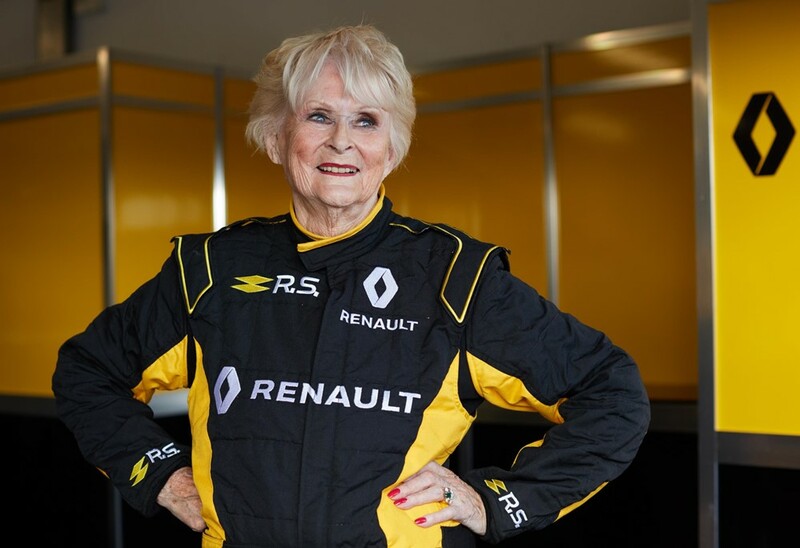 Meanwhile, Rosberg began closing in. Webber pitted a lap later and rejoined ahead of Vettel in first place. 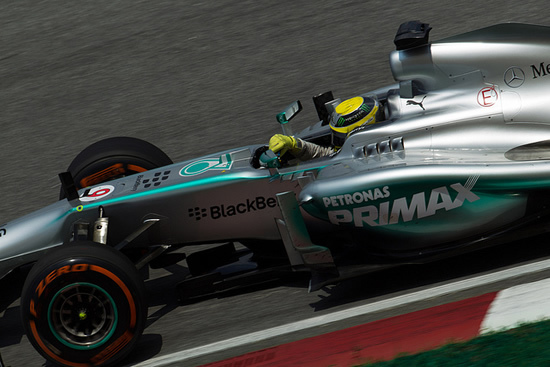 Despite his pit stop hiccup, Hamilton retained a solid third place. 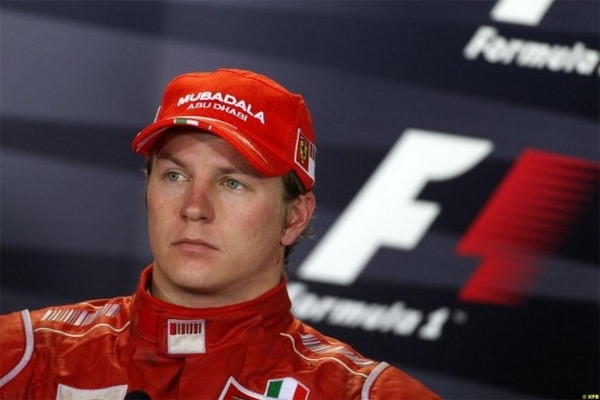 Not giving in, Raikkonen finally passed McLaren’s Sergio Perez on lap 15. With clear air ahead, the Fin started setting fastest sector times. Mark Webber pitted on lap 19, freeing up Vettel to take the lead. A few laps later Force India’s Paul di Resta experienced trouble in the pits with one of his wheels. Vettel made his stop on lap 22, and although it was fast, he didn’t manage to beat Webber onto the track. 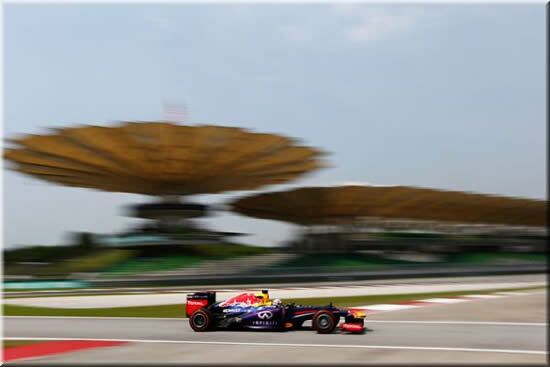 Around halfway the race began to become controversial for Red Bull. Vettel’s engineer ‘Rocky’ tells him to slow and look after his tyres, plus he’s getting to close the Webber. Vettel says “Mark is too slow, get him out of the way.” Ignoring team orders Vettel continued to hunt down Webber with Hamilton breathing down his neck. After the third round of stops, Vettel still made a few lunges at his teammate, despite his orders. 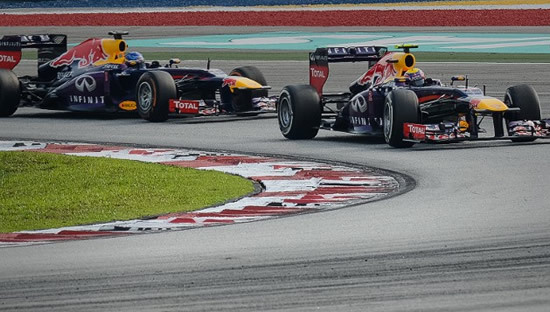 On lap 46, the whole Red Bull team held their breath as the two nearly collide down the start-finish straight. After more close calls, team boss Christian Horner came on the radio, “This is silly, Seb, come on.” Whilst this duel went on, the camera showed Red Bull’s design chief drop his head into his hands. With 9 laps left, Vettel finally passed Webber with a brave move on the outside of turn four. 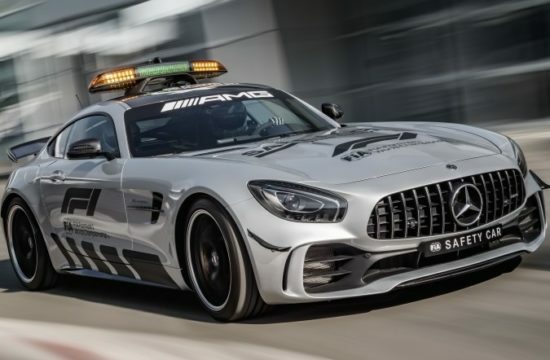 Mercedes’ Nico Rosberg faced a similar situation with teammate Hamilton in that Rosberg feels he’s faster, but his engineer gives him the thumbs down to attack. 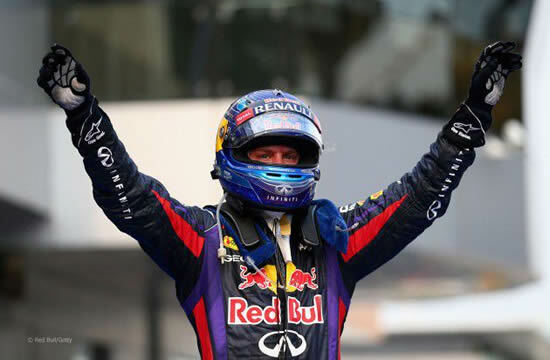 The chequered flag waved Vettel home for his second consecutive win. 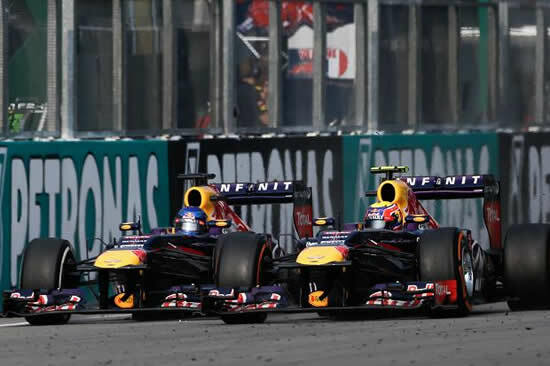 Vettel punched the air, with Webber second, who distanced himself on the other side of the track. “Good job Sebastian,” says Rocky, “looks like you wanted that bad enough. 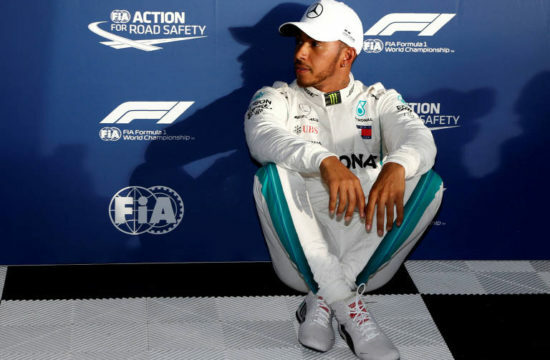 Still, there will be some explaining to do.” Hamilton maintained third for the final podium place. In the pre-podium room, tensions were high. Webber completely ignored Vettel and walked away to sit down. 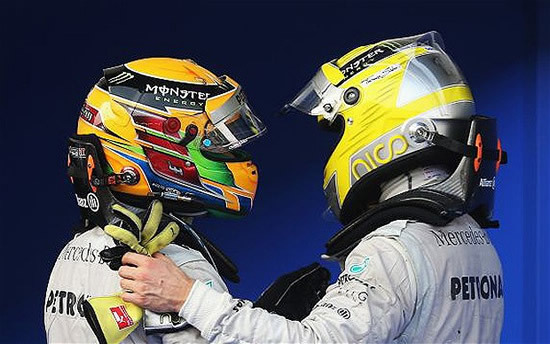 Although Rosberg and Hamilton faced a similar situation, they embraced at the end of the race. 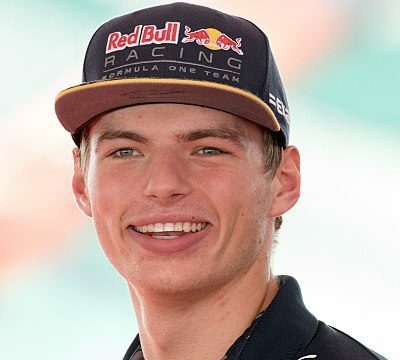 Will the Red Bull boys sort this rift out? Or can the other teams capitalise it?